The New York Auto Show is well underway and as the trend continues, it has been an SUV and crossover kind of show with some muscle car highlights. Of course, by muscle car highlights I mean the Dodge Challenger Demon: http://autoweek.com/article/new-york-auto-show/dodge-challenger-srt-demon-can-lifts-it-wheels-takeoff-and-other. This is really going to be a beast with its stock 840hp. 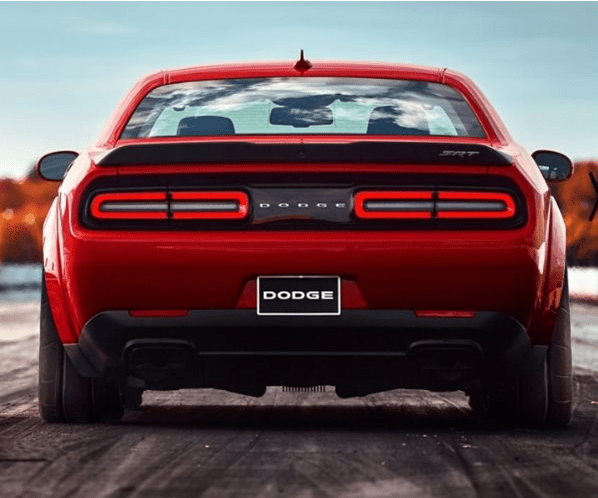 Dodge unchained this Demon the night before the New York Auto Show kickoff. Follow the link to get the full specs because it is definitely worth the read. And fast, so fast the NHRA banned it from competing. Before it competed. That is one mean machine. Another mean machine is the Jeep Grand Cherokee Trackhawk, which comes stock with 707hp and 7,200 pounds of towing capacity: http://www.detroitnews.com/story/business/autos/chrysler/2017/04/12/mph-jeep-trackhawk-hellcat-suv/100376308/. The Jeep Grand Cherokee Trackhawk comes with the Hellcat engine and a slew of upgraded features from brakes and pipes, to leather and infotainment. Price and mileage hasn’t been released yet, but let’s be honest. If someone is buying the Trackhawk, he or she probably doesn’t care about price or mileage. Another off-roader debuted at New York and this concept from Toyota may prove to be a worthy successor to the FJ: http://www.autoblog.com/2017/04/12/toyota-ft-4x-concept-off-roader-millennials-new-york-nyias/?hcid=hp-tile-mini-4. Toyota’s FT-4X concept was designed with Millenials in mind and is well though out. One of the best innovations, I think, besides the hot and cold storage boxes and air vents you can use to dry gear is the swapping an infotainment system for a phone mount. According to the article, since Millenials use their phones anyway and Toyota doesn’t have Apple Car or Android Auto, it makes the most sense. Truth is, it makes the most sense anyway, for Millenials or not. Still, the FT-4X is just a concept and we know how automakers love to tease us with what they can do and then do something else entirely or not at all. I would be glad to see this come to fruition. With a good engine, this could be a decent off-roader. Speaking of concepts coming to fruition, check out the 2018 Navigator: http://www.motortrend.com/cars/lincoln/navigator/2018/2018-lincoln-navigator-first-look-review/. In coming to fruition, Lincoln killed some of the frills from the 2016 Auto show debut—remember the gull wing doors? They didn’t make it into the production model—but went all out on its luxury factor. The feature list is pretty long on this Navigator, 360-degree camera, ultra-quiet ride provided by laminated windows, specially tuned air ducts and tires and a noise-cancellation system, 30-way powered seats with memory control, and stitched leather, lots of stitched leather. The new Navigator is also faster and 200 or so pounds lighter, which makes it much more fuel efficient than its predecessors. Hyundai’s Genesis is looking for a happy marriage of alternative fuels and crossover sales with its newest concept: http://www.autonews.com/article/20170412/OEM04/304119981 the GV80 concept should arrive around 2018 with a combustion engine with a fuel cell crossover debuting later. Judging by the looks of the GV80’s design, Genesis is in the luxury crossover market to win it. But what do you think? Are you at the New York Auto Show? What other vehicles and concepts have caught your eye? The American Museum of Tort Law—who knew there was even such a thing?—is offering the tees for sale on their site along with signed copies of Unsafe at Any Speed by Ralph Nader and buttons and stickers of the Flaming Pinto graphic. I am not sure which is more amazing the T-shirt and merch or the American Museum of Tort Law’s existence—uh, no offense meant to the museum, of course.